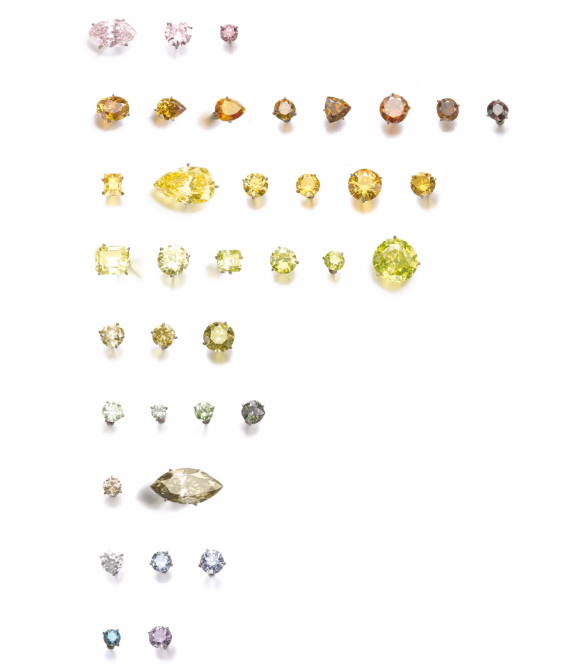 For its auction on November 16, Sotheby’s will be offering some spectacular and rare Fancy color diamonds. It has been a good year for the auction house, and they have assembled quite an effective catalog for their climactic gem auction of the year. Significant Pink and Blue diamonds will be offered to the investment community and private collectors alike, and we are looking forward to seeing the prices that the market is willing to pay for them. As always, the third session, the evening one, always has the most interesting pieces, the ‘cream’ of the auction that day. Starting at 7pm, the beginning of that session, we will see the majority of sales (in dollar amount) take place. The first unique item of the third session is item #296. 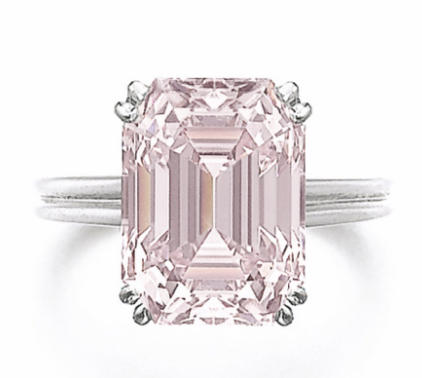 It is an 8.73 carat Fancy Intense Pink diamond with a VVS2 clarity and a sweet step cut shape. 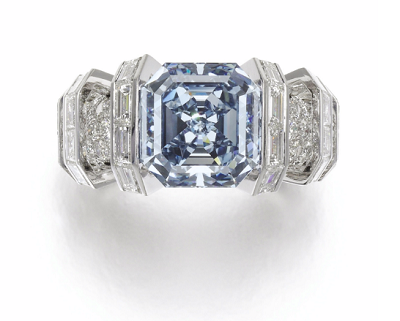 It has been estimated to sell for $2.5 million to $4.5 million, or $286k to $515k per carat. I have not yet seen the diamond with my own eyes (I will do so when I fly there on the 15th), but seeing the valuation brings two thoughts to mind. One is that if the color is a weak color, and more closely resembles Fancy Pink, then even the low valuation is an undervaluation and therefore I expect that it will get at least the minimum value. Secondly, since the spread of the low-high value is quite large, I will posit that the color is strong (clarity is not in question here as the VVS2 makes the diamond extremely rare). In this case we will see the high end value estimate broken as well. 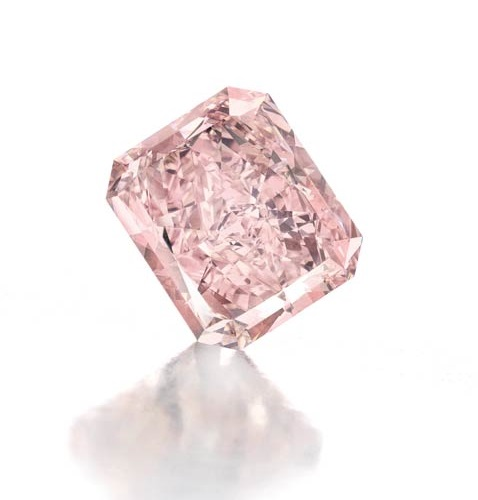 The last time we saw an 8ct+ Fancy Intense Pink diamond at an auction was back in 2013, when a 8.77 carat Fancy Intense Pink was sold on October 15 for $721k per carat. Since then, the value of such a rare diamond has increased and we can expect this diamond to reflect this reality. 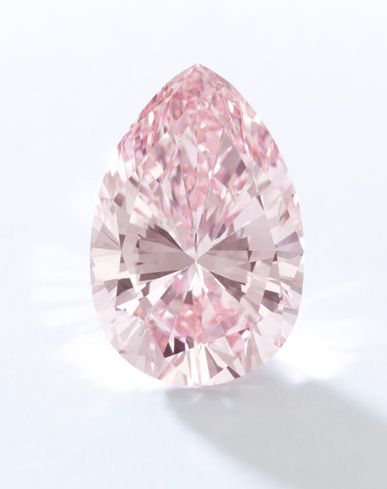 The next rare pink diamond is a 13.20 Carat Fancy Intense Pink pear shaped diamond, with an Internal Flawless Clarity. We have discussed this diamond previously and feel that it is an accurate estimation with a strong chance of being sold. It is valued between $9 million and $14 million, or $682k to $1.06 million per carat. 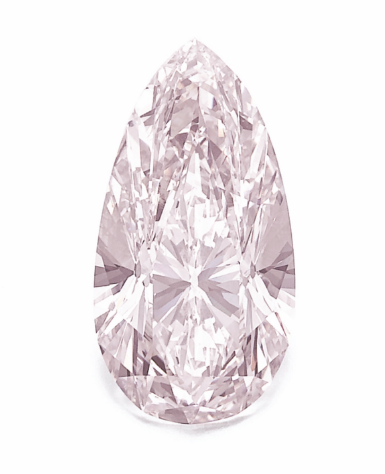 Two items after the 13.20 carat pear shaped diamond there is a 40.30 carat Fancy Light Pink diamond that will be offered. Like the 13.20 carat diamond, it is also pear shaped, but it had a VVS2 clarity. This stone is also unique and rare for its size and clarity combination. 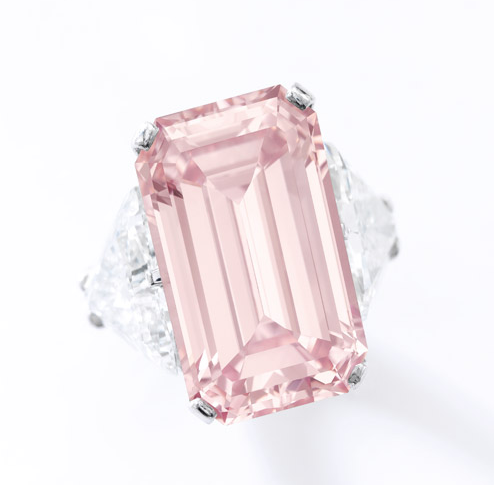 It is valued to sell at auction for $6 million – $10 million, or $149k to $248k per carat – again, a significant spread. This is the largest recorded Fancy Light Pink diamond to ever appear at auction. The second to last lot of the evening is the 17.07 carat Fancy Intense Pink VVS1 diamond with a beautiful and unique emerald cut. We also discussed this previously in our recent article discussing this auction’s highlights. 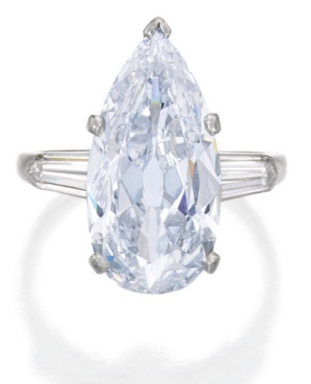 It is valued to sell at a finals sales price from $12 million to $15 million, or $703k to $879k per carat. 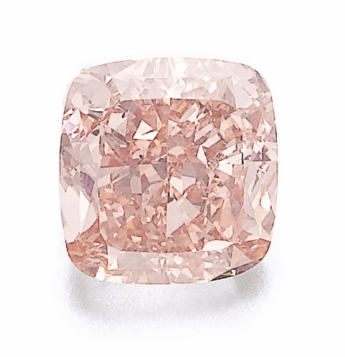 Our final noteworthy pink diamond to mention is a smaller, 4.00 carat Fancy Intense Orangy Pink diamond. It has an SI2 clarity and a cushion shape and its estimated sales price lies between $600k to $800k total, or $150k to $200k per carat. The first item in our blue diamond review of the Sotheby’s auction is Lot #298A, a 7.74 carat Fancy Deep Blue VVS1 oval shaped diamond. It is valued between $9 million and $14 million, or $1.163 million to $1.81 million per carat. This diamond can potentially break 2 records; the highest price ever paid for a Deep Blue diamond, and the highest per carat ever paid for a Deep Blue diamond. In order for it to break the highest total price ever paid for a Deep Blue diamond, it must sell for over $11 million total. The current holder of that record is the 10.48 carat Fancy Deep Blue diamond sold on November 14, 2012 by Sotheby’s in Geneva, 4 years ago. In order to break the per carat price, it must sell for the high end Sotheby’s valuation or higher. The current holder of that record is a different diamond than the one for total price. In this case it is a stunning 5.30 carat Fancy Deep Blue Diamond that was sold by Bonham’s in London back on April 24, 2013. The next item is a 2.31 carat Fancy Vivid Blue SI2 marquise shaped diamond. 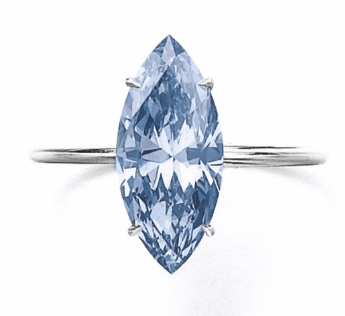 Both its shape and size are quite rare, but are considered “more affordable” as an investment compared to other Vivid Blue Diamonds that are being offered that night. It is valued at a hammer price between $1.8 million to $2.8 million, or $779k to $1.21 million per carat. It too can potentially break 2 records, in its own 1-3 carat vivid blue diamond category. The records that it can potentially break would be for the highest total price paid for a Fancy Vivid Blue diamond (1-3 carats) or for the highest price per carat paid for a Fancy Vivid Blue diamond (1-3 carats). If it breaks the $2.25 million total price, it can break the record for the highest total price paid for a Fancy Vivid Blue diamond of 1-3 carats which was last held by the 2.71 carat Fancy Vivid Blue Diamond sold on May 28, 2013 for $2,230,182. If it breaks the $2.3 million mark, it will also be the highest sold per carat Fancy Vivid Blue in its 1-3 carat size category. 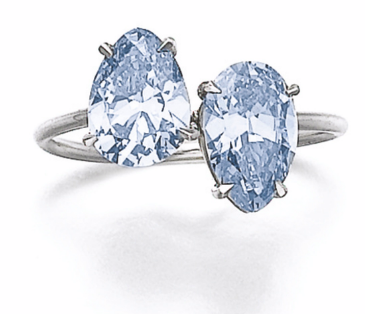 It will be followed by a nice pair of pear shaped Fancy Intense Blue diamonds set as a ring. They are 1.11 carat and 1.17 carat sizes with VS2 and SI2 clarities respectively. The pair is valued at $600k to $900k total, or $263k to $395k per carat on a total weight basis. There is value in this pair. A very interesting diamond this evening is a Fancy Light Blue weighing 16.08 carats with a VVS1 clarity and emerald shaped. 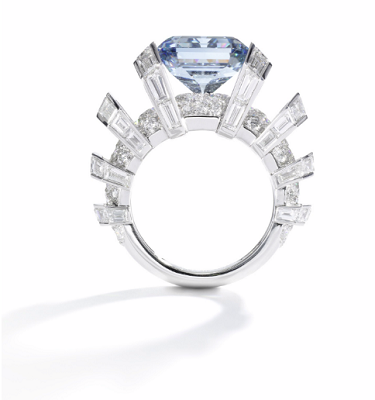 It is valued at $1.5 million to $2.5 million, or $93k to $155k per carat. This is a significant spread in valuation, so I am really curious to know what their valuation process is and what makes their spread so large! 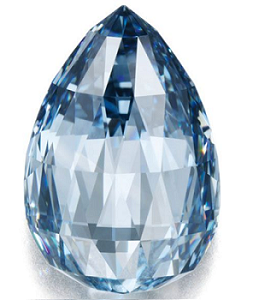 This 16.08 carat Fancy Light Blue diamond is the largest in its color intensity ever to be offered at auction. 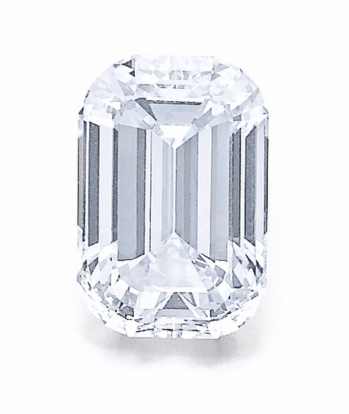 The previous record in size was the 10.82 carat Fancy Light Blue Diamond with an IF clarity sold on November 13, 1995 at Christie’s Geneva – 21 years ago! 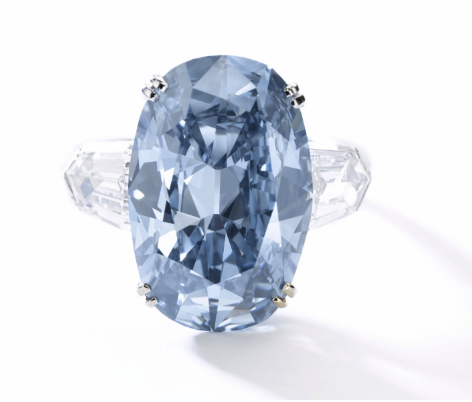 The highest per carat price ever paid for a Fancy Light Blue diamond is $286.5k per carat that was paid for the 5.06 carat Fancy Light Blue pear shaped diamond that was sold on April 19, 2016 at a Sotheby’s New York auction. If our diamond sells for $1.5 million, its low end value, it will still be the highest sold (by total price) Fancy Light Blue at auction. This can be reasonable expected considering that the diamond is 16 carats! The star of the night is the 8.01 carat Fancy Vivid Blue VVS1 Type IIb diamond which has been lovingly nicknamed the “Sky Blue diamond”. It is the same type as the Blue Moon of Josephine, the now infamous blue diamond which was sold at last year’s Sotheby’s Geneva auction for an incredible record of $48.5 million to notorious businessman Joseph Lau for his 7-year-old daughter Josephine. We introduced the “Sky Blue” to the investment world in at our latest article. It is valued to sell for a price between $15 million to $25 million. We can now confirm that it is the exact diamond that sold on April 3, 2012 at the Sotheby’s Hong Kong jewelry auction. Back then it sold for a record in its 5-10 carat category, a total of $12,778,544, or $1.595 million per carat. Since then, three years have passed. Who thinks it’s value has not increased? It will have increase to at least $15 million, as per its low valuation. In order for it to break a new record in its category of size, it must do 1 of 2 things: One would be if it would sell for above $3.348 million per carat (which is possible, if sold for its highest valuation, excluding commission and fees). This record per carat is currently held by the 9.75 carat Fancy Vivid Blue diamond sold on November 20, 2014 by Sotheby’s New York. It belonged to Mrs. Paul Mellon, and was acquired by the same Asian collector for his other daughter Zoe, and in whose honor it was renamed the Zoe diamond. 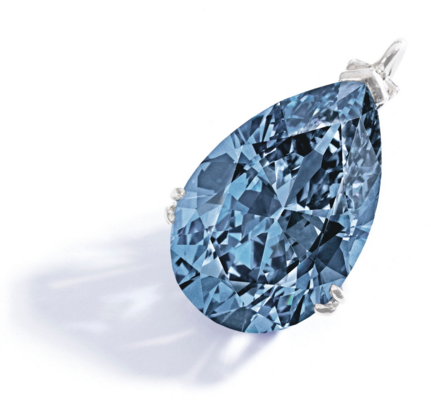 The alternative record for the Sky Blue diamond to break would be for the total value, if sold for above $32.65 million. That place is also currently held by the 9.75 carat Zoe diamond. One important piece of information that was not shared by any of the other media outlets is the fact that this 8.01 carat has a pair somewhere. It used to be part of a pair, and the other one weighed 8.30 carats. It was still a pair back in 2007. Sometime between 2007 and 2012 they were separated and sold as single pieces. In my opinion it should have stayed a pair. Together it could have sold for at least 15-20% more per carat as a pair, since that would have made it a rare pair and being a pair gives premium value. 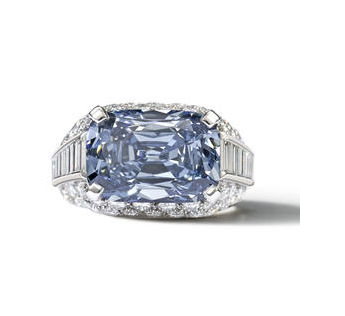 Also, it is worth noting that back in May 2016, also at Sotheby’s Geneva, a 7.32 carat Fancy Vivid Blue with an IF clarity was sold for $2.34 million per carat which values this one for at least $18,726,000 total. The last item worth noting is the sale of a collection of fancy color diamonds named “The Spectrum Collection”. It includes 38 Fancy Color Diamonds with varied unique colors, shapes and sizes. The collection is valued at $1 million to $2 million – again, a large gap between the low and the high estimates. I noticed a few important pieces in the collection that easily make the low end value too low. There is a 1.09 carat Fancy Intense Blue VS2 round diamond. It also has a 1.04 carat Fancy Intense Pink round diamond with an SI1 clarity, a 0.57 carat Fancy Deep Blue SI2 round diamond, and a 0.48 Fancy Intense Pink SI2 round diamond. There is also a rare 0.20 carat Fancy Intense Green VS2 round shaped diamond. We continue to wonder what record prices will be broken during the auction and to what extent, especially considering that the auctions in Geneva are the most notorious for these results. Fancy color diamonds continue to hold strong and lead the way for wealth creation. We look forward to further communicating directly from the auction on our Twitter page. Got any questions before the auction begins? Ask in the comments!